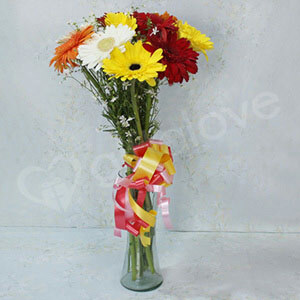 The colorful paper and ribbons used to wrap the bouquet can be recycled. 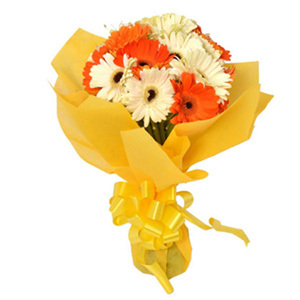 Gerberas are also known as ‘Gerber Daisies’ and ‘African Daisies’. 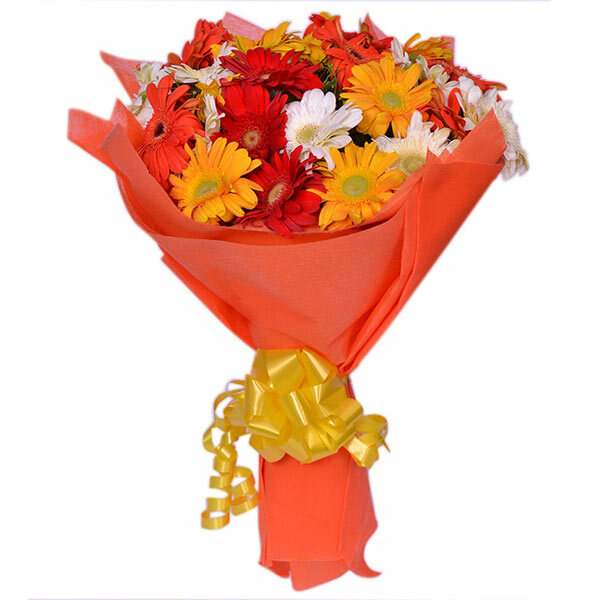 This colourful bouquet of blooms contains vivid colours of gerbera flowers wrapped in beautiful packaging that spread hope and happiness to whomever you gift this bunch. This is also suited the best for Office celebrations as well as Family celebrations such as Anniversaries, Engagement and other special celebrations.